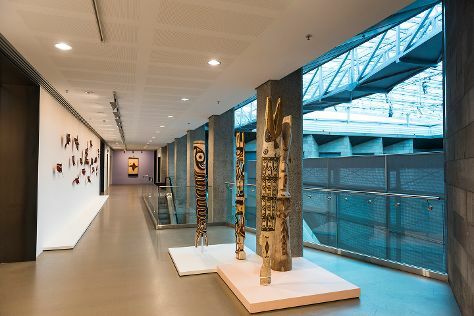 Start off your visit on the 4th (Mon): make a trip to Uluru, contemplate the waterfront views at Mutitjulu Waterhole, trek along Kuniya Walk, then view the masterpieces at Walkatjara Art, and finally take an in-depth tour of Uluru-Kata Tjuta Cultural Centre. 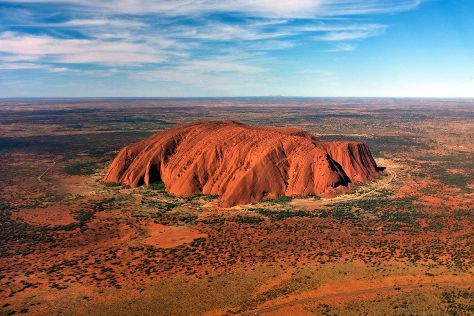 To find reviews, ratings, and other tourist information, read Uluru-Kata Tjuta National Park trip maker site . Pune, India to Uluru-Kata Tjuta National Park is an approximately 19.5-hour flight. You can also do a combination of bus and flight. You'll lose 4 hours traveling from Pune to Uluru-Kata Tjuta National Park due to the time zone difference. Expect a daytime high around 41°C in March, and nighttime lows around 24°C. Cap off your sightseeing on the 4th (Mon) early enough to travel to Faulconbridge. Faulconbridge is a village located in the Blue Mountains 77 km west of Sydney, New South Wales and is 450 metres above sea level. 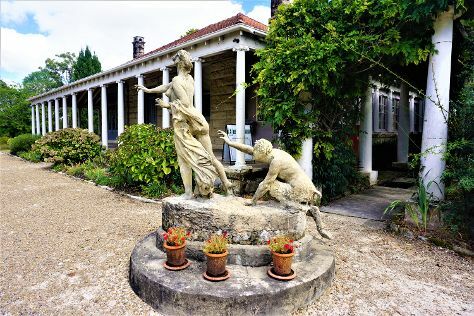 Kick off your visit on the 5th (Tue): explore the world behind art at Norman Lindsay Gallery & Museum, examine the collection at Valley Heights Locomotive Depot Heritage Museum, then snap pictures at Lennox Bridge, then take in the dramatic scenery at South Lawson Waterfall Circuit, and finally explore the different monuments and memorials at Faulconbridge Cemetery. Plan my trip to Faulconbridge with suggested itineraries provided by Inspirock. The Route module can help you plan travel from Uluru-Kata Tjuta National Park to Faulconbridge. Plan for slightly colder temperatures traveling from Uluru-Kata Tjuta National Park in March, with highs in Faulconbridge at 31°C and lows at 19°C. Finish your sightseeing early on the 5th (Tue) to allow enough time to travel to Sydney. 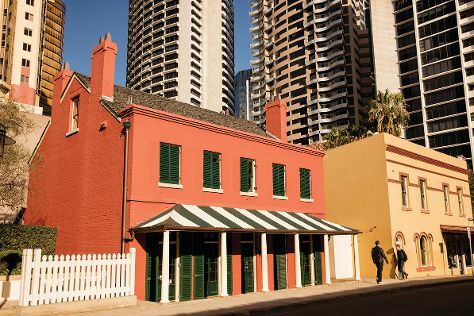 Your cultural itinerary includes sights like The Rocks and Australian National Maritime Museum. You'll explore and learn at Art Gallery of New South Wales and Australian Centre for Photography. The adventure continues: tour the pleasant surroundings at Bondi Beach, admire the natural beauty at Royal Botanic Garden Sydney, take a stroll through Darling Harbour, and kick back and relax at Manly Beach. To see where to stay, reviews, and tourist information, refer to the Sydney online trip maker . You can drive from Faulconbridge to Sydney in 1.5 hours. In March, plan for daily highs up to 30°C, and evening lows to 22°C. 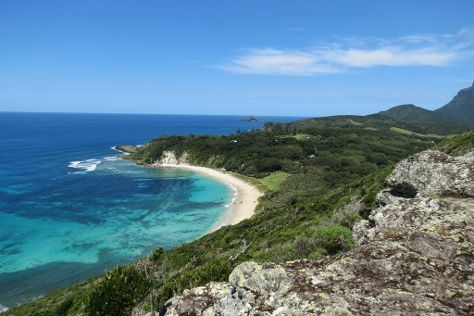 Wrap up your sightseeing on the 8th (Fri) to allow time to travel to Lord Howe Island. Start off your visit on the 9th (Sat): see the interesting displays at Lord Howe Island Museum, then enjoy the sand and surf at Lagoon Beach, and then enjoy the sand and surf at Ned's Beach. To see ratings, reviews, where to stay, and more tourist information, you can read our Lord Howe Island trip itinerary planning app . Getting from Sydney to Lord Howe Island by flight takes about 3.5 hours. Wrap up your sightseeing on the 9th (Sat) to allow time to travel to Canberra. Kick off your visit on the 10th (Sun): admire the masterpieces at National Gallery of Australia, then admire the masterpieces at National Portrait Gallery, and then get engrossed in the history at Australian War Memorial. To see photos, maps, ratings, and other tourist information, refer to the Canberra online travel route planner . Traveling by flight from Lord Howe Island to Canberra takes 5.5 hours. Alternatively, you can do a combination of flight and bus. Expect a daytime high around 30°C in March, and nighttime lows around 13°C. Finish up your sightseeing early on the 10th (Sun) so you can travel to Melbourne. 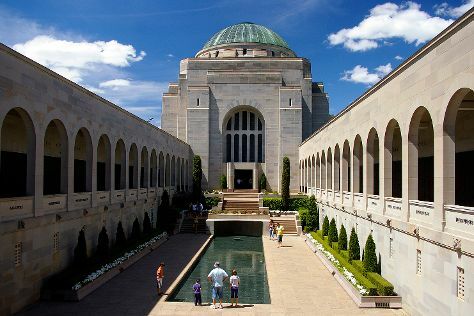 On the 11th (Mon), admire the masterpieces at National Gallery of Victoria, then brush up on your military savvy at Shrine of Remembrance, and then admire the natural beauty at Royal Botanic Gardens. Keep things going the next day: contemplate the long history of Old Melbourne Gaol, get engrossed in the history at Immigration Museum, then enjoy breathtaking views from Eureka Skydeck 88, and finally tour the pleasant surroundings at St. Kilda Beach. To see where to stay, reviews, traveler tips, and other tourist information, refer to the Melbourne attractions planner . Traveling by flight from Canberra to Melbourne takes 3.5 hours. Alternatively, you can drive; or take a bus. March in Melbourne sees daily highs of 30°C and lows of 15°C at night. On the 13th (Wed), wrap the sightseeing up by early afternoon so you can travel back home.